May 12th. Fifteen days ago, and still no sign of my replacement tablet. I am suffering massive withdrawal. Sigh. I can’t even take photos of my plants to post! The weather has been terrible, cold and rain, so I actually went out and dug up the pepper plants that I had planted (the very few that survived the fist-sized hail we got the other day) and brought them back into the house and put them under the grow lights. They can stay there for as long as it takes, I don’t want to lose them completely. Especially not the heirloom varieties I had so much trouble getting my hands on. 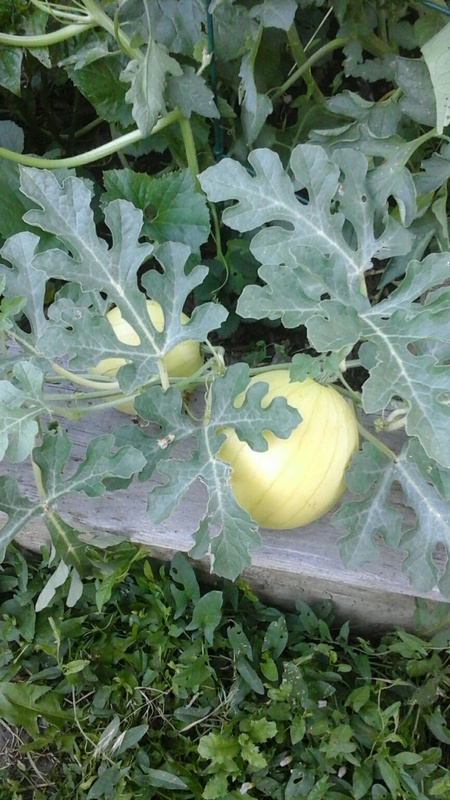 I did lose all my rare, heirloom melons to the hail. I shouldn’t have put them out, nobody to blame but myself, but it had been flat hot for a week, and I thought they would be safe. Sigh. No such luck. So, I will have to find more for next year. I do have some cucumbers that were still in the house, and a couple of zucchini plants that were still inside. No heirlooms though. Pickling cucumbers and the standard green zucchini. 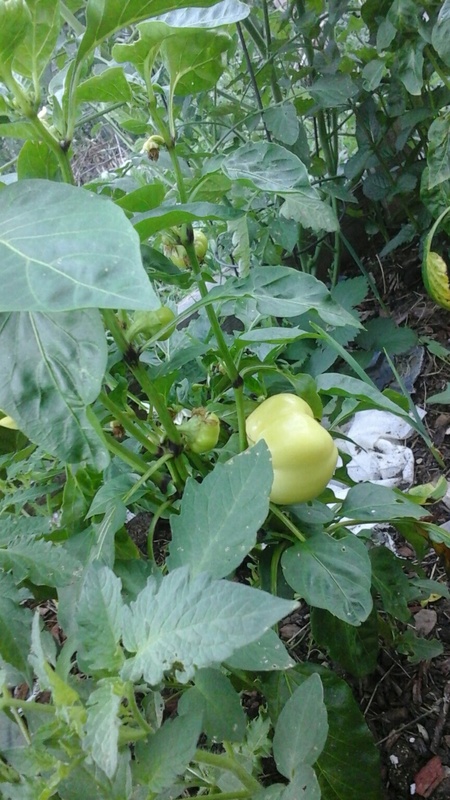 I had some patty pan yellow squash seeds that I had put out when I planted the peppers. They haven’t come up yet, but maybe they will when (If?) it gets warmer out. Oh, and I dug a foot down through the bark in the new bed I am making (only half finished) and planted both green and purple asparagus. Laid down a layer of dirt and manure, put in the roots, and added three inches of soil over top. You fill the trenches in over time as they sprout and the asparagus starts to grow. I won’t get any this year, can cut a bit next year, but by the third year they should (hopefully) be growing strong and ready to be harvested. 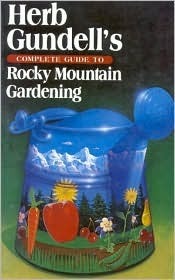 I picked up a copy of Herb Gundell’s Complete Guide To Rocky Mountain Gardening at a local used book store. There is a handwritten note on the inside front page: To my sweetheart Jay – keep on sewing and reaping – Happy Fathers Day, 6/1989. It brings to mind so many wonderful things that, no matter how much I enjoy ebooks, I fear that many will not come to know in this day and age. Tearing the paper from a gift from a loved one and first seeing the bright cover of a book. The scent of the paper and ink, holding the weight in your hand. Opening that first page and possibly seeing a paragraph such as the one above. Turning the pages, one by one, and knowing the person who gifted the book to you actually gave consideration to the gift and how you would feel about it. Seeing the gift on a table, or the arm of your chair, or gracing a bookshelf, nestled amongst other well-loved volumes. Someone loved this book at one time, loved the recipient. That makes the book that much more special. And it is a special book. Heavy, slick paper, printed with gorgeous photos and line drawings, everything I could ever want to know about how to properly garden in the Rocky Mountains is laid out in a beautifully written manner. 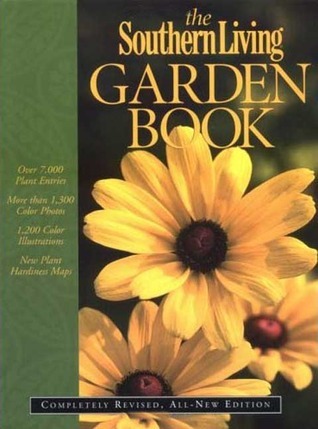 Flowers to fruits, annuals to perennials, even rock gardening and wild harvesting. Did you know that, if you own property in the mountains and want to transplants specimens to your home (if you live in town) you must give yourself written permission to have the plants in your possession? If you live in other parts of the country and want to garden, I would highly recommend a book that specializes in your area. 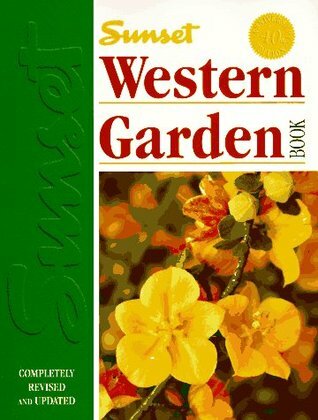 The Sunset Western Garden Book is a good one, and The Southern Living Garden Book was my ‘go to’ when I lived in the South. I’m going to go quilt. I can still listen to books on my computer, even if I don’t have my tablet! Catharsis: noun, plural catharses [kuh-thahr-seez] The purging of the emotions or relieving of emotional tensions, especially through certain kinds of art, as tragedy or music. It has been an “indoors” sort of winter for me. Bad weather just didn’t encourage me to go outside, and I spent most of my time in my chair – hence my spreading backside! 😉 When we did get a couple of good days, well, as you know if you heard about it, a blizzard came along and put the kibosh to that . . . and it looks like it killed my fruit trees a well. Sigh. So, when the weather changed again, I fell on it like a ravening wolf, ready to drink in great drafts of the outdoors – and gardening! The beds were left with all the dead plants rooted in over the winter. 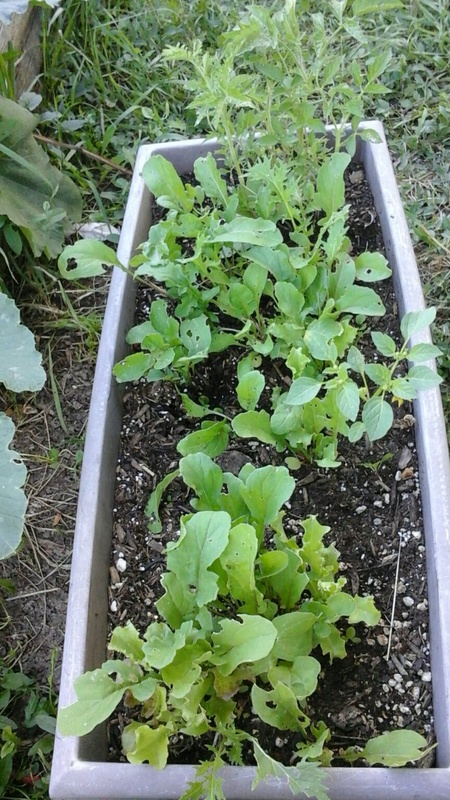 I wanted them to rot as much as possible in the ground, and pulling them up now instead of in the fall means I loosened up the soil when I pulled them. 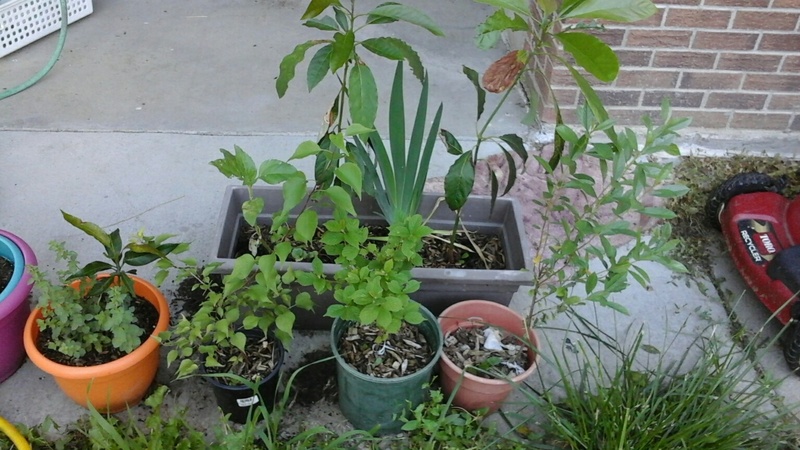 As you see from the photo, I have garlic, strawberry and mints coming up, hooray! They made it through the winter! I have already ‘top dressed’ this bed (spread several inches of composted manure over top) and I have one of the other beds done as well as about a third of the third usable bed. I will hopefully finish that one up later this afternoon. I got really worn out yesterday carrying the heavy mulch so I started filling the roughed out beds with mulch. I have my seeds I saved from last year, and have added to those. 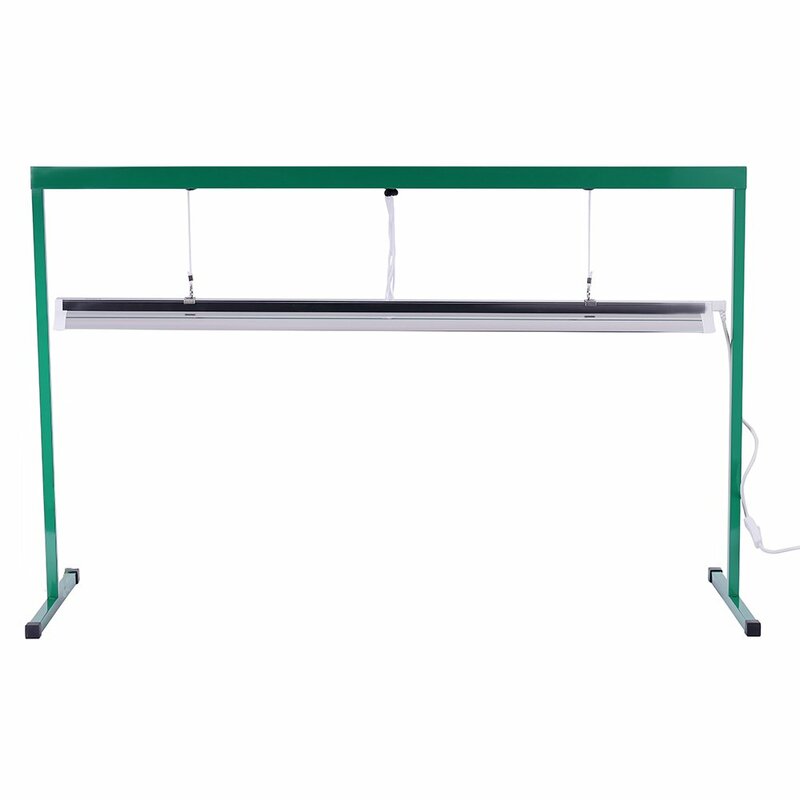 My grow light setup came in, but now I have to figure out where I am going to put it. It is past time to get tomato, pepper, etc. seeds started before it is too late. As the setup is only 4’ long I am sure I will find a spot, but I have to do it today! 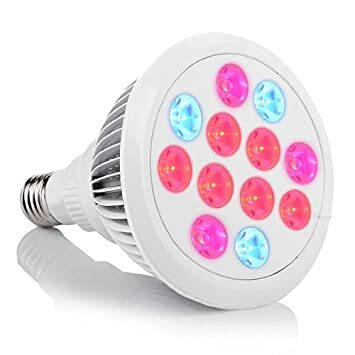 I also have two other grow lights that I was given to test by the company I will be setting up today. Click on the photos to check out the listings. As you can see, my manure heap is a lot smaller than it was. I want to get more, but you see, I have this little issue – as in a HUGE pile of chopped up trees in my driveway! LOL (And yes, is my finger in the photo – I took it after a looong day of working in the beds, and I was way tired and sweaty. Hey, want to clean out your pores? Garden! Digging in the soul is not only cathartic for your soul, it is works for your skin as well!) You can see how large the pile is compared to my neighbor’s big ol’ pickup. Cool, huh? Free mulch!! A local tree company was cutting trees in my neighborhood after the blizzard and they were more than happy to dump them in the driveway. No having to haul them away and dispose of the mulch themselves. So, I got two full truckloads. These two beds are going to be filled with the mulch up to the top and left to overwinter. Yes, those are ripped up phone books – the phone company will insist on throwing them in the driveway, though they have been asked not to. Ah well, more paper to rot! 😉 That big branch in the one photo has stumped me. My chainsaw will insist on throwing its chain and trying to take my arm off, and I finally gave it up for a bad cause and that limb will have to go to the pile of brush I have in the back corner of the back yard. 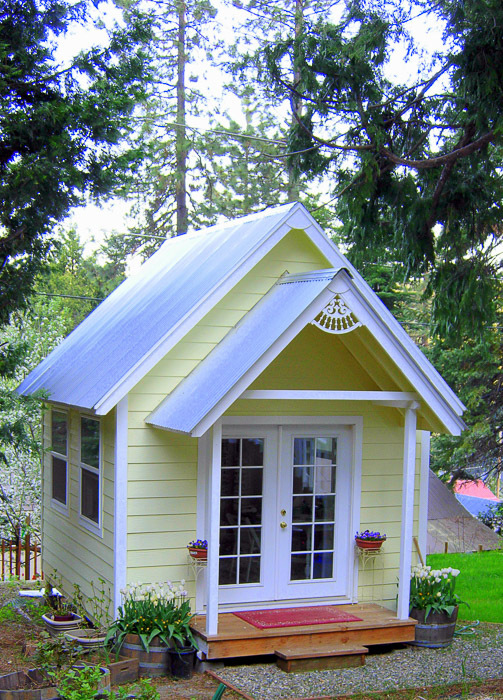 Small animals like to nest in there – squirrels and certain birds especially. It is fun having a special habitat back there that is completely wild. 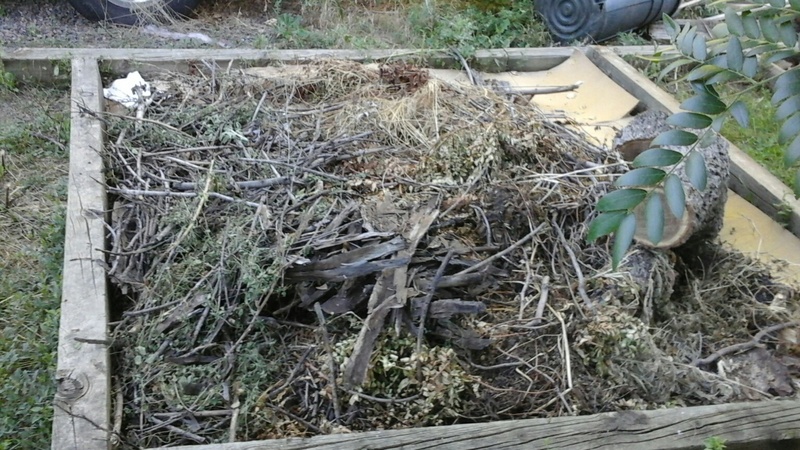 The rest of the mulch, after the boxes are filled, I will spread on the yard to rot. The soil here is horrible – just sand and more sand, which means weeds and more weeds. I am hoping if I can dump enough mulch that over time it will allow grass to grow. But then, as I am careful of water usage, I would be just as comfortable just having the bark mulch stay in place without grass growing. Hum… we shall see. Of course, I am slowing eating away at the yard anyway. Oh, look! All that lumber is still sitting there, waiting for me to build my cold frame! (Didn’t I say I was going to do that last fall?) But I did find a solid glass door to use for a top (free, of course!) 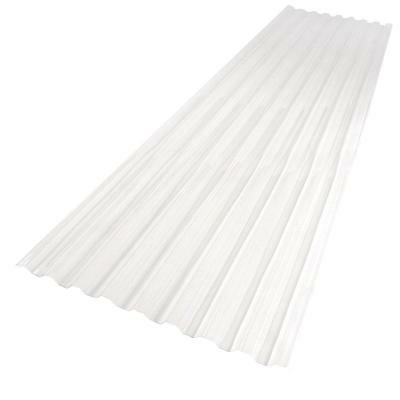 so I am putting together a list of the lumber sizes and figuring out what to use for the standing braces to bury in the ground and screw the sides to. But that is for later in the year. Off to dig again, and I hope you all find a wonderful way to spend your Sunday as well! 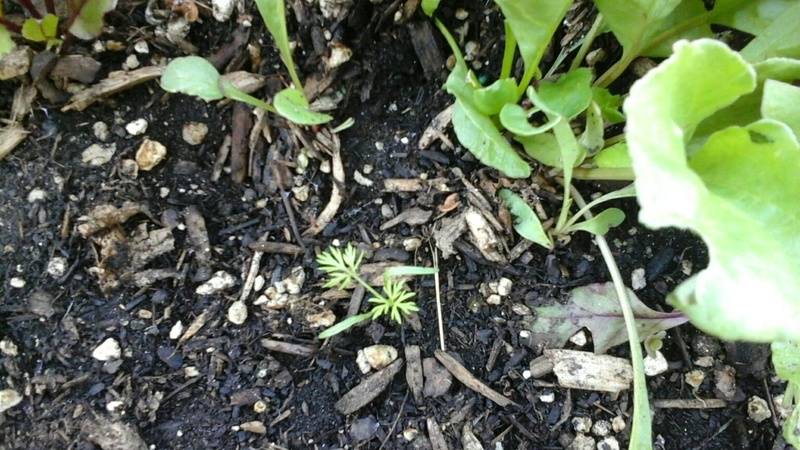 The Papaya Dew melons didn’t work out for me last year, they never ripened, so I won’t sew the saved seeds. I will send them to anyone who wants them! Pineapple Tomatillo was Delicious!!! I put them in with all the other tomatoes before the first frost, simmered them down with lime juice and salt, and the outcome was amazing. I only have so much room, so one plant of each is all I can fit in. 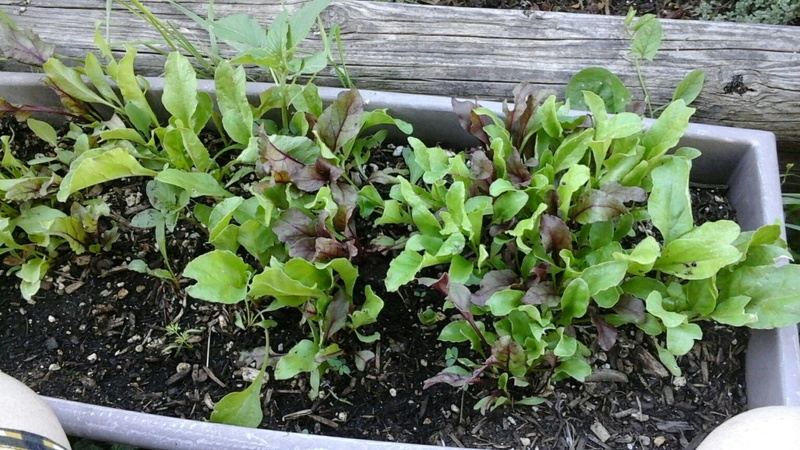 If I have enough compost I will try some of the hybrids I have in the mix in the back yard. We shall see! It is that time… I need to think about what to put in my garden this year. I had marked several seeds as interesting at Sustainable Seed Co. last year, and they just sent me a reminder. Georgia Rattlesnake is said to have been developed in the 1830s. It has been an old Southern favorite for a long time. Georgia Rattlesnake averages 35-50 pounds…. 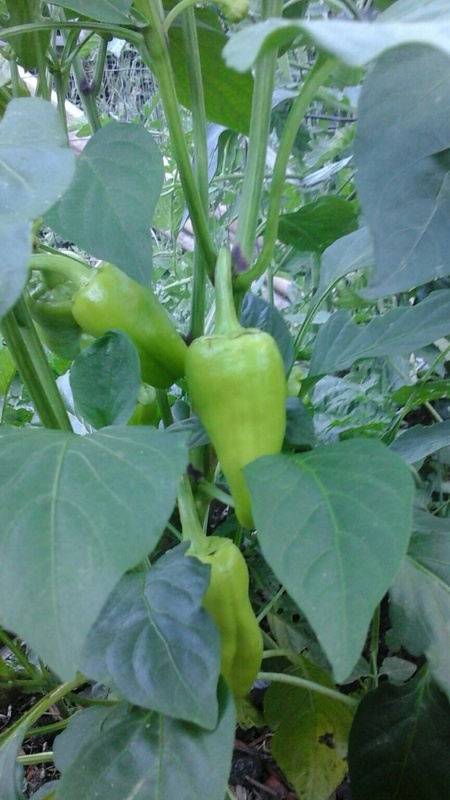 Compact, bushy plants reach 15″ tall and are covered with clusters on 2 inch long fruits, fruits color (through maturity) yellow to orange to red to purple…. A bit of what came out of the garden this morning. Back left, Zapotec Tomato, a “ruffled” tomato from Mexico. 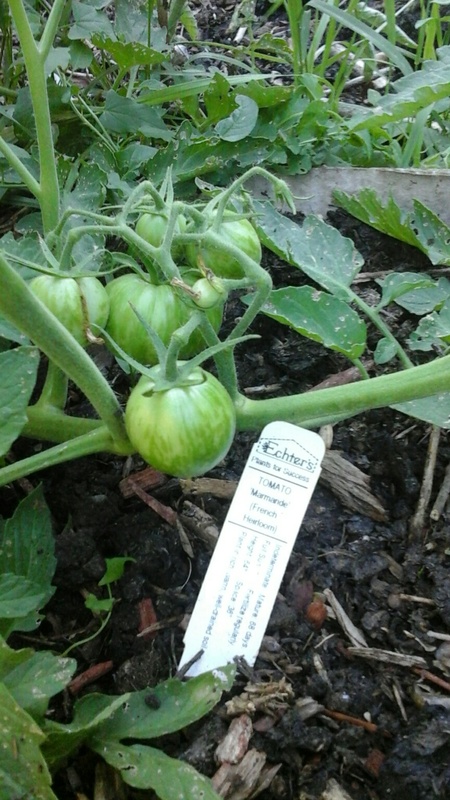 Back right, Green Zebra, a green tomato with darker green stripes. Next row, left, Pablano Pepper, tiny unnamed sugar tomatoes, a partially dried Pimento Pepper, Marmande tomato from France, Spanish Spice Pepper (from Spain, of course!) 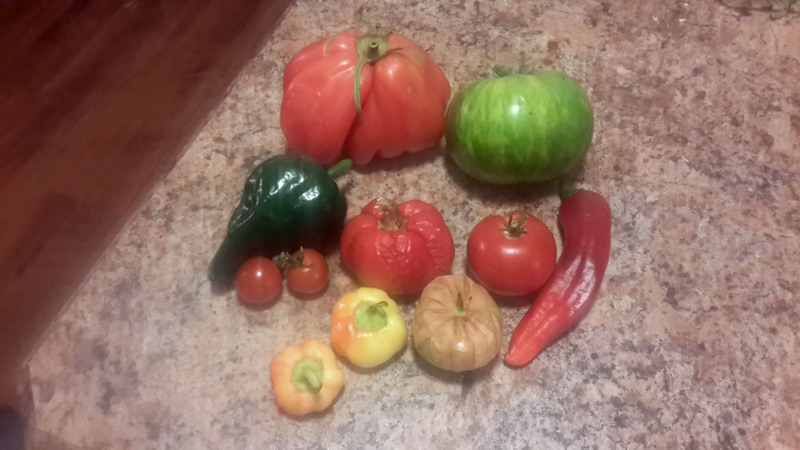 Then two tiny pimento style peppers from Germany, unnamed heirloom, and a green tomatillo still in the husk. 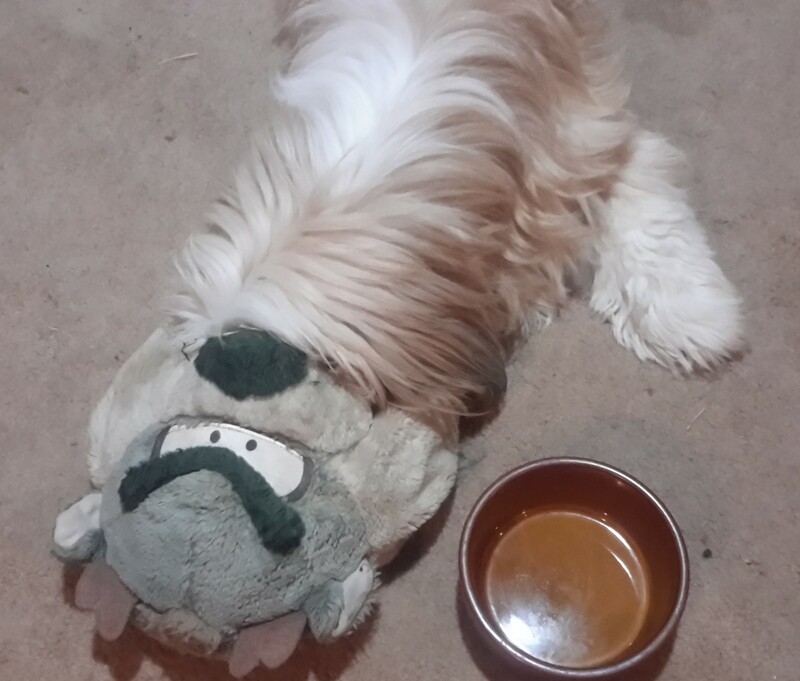 Koda decided to pull his Taz slipper over beside his bowl and take a nap after breakfast. 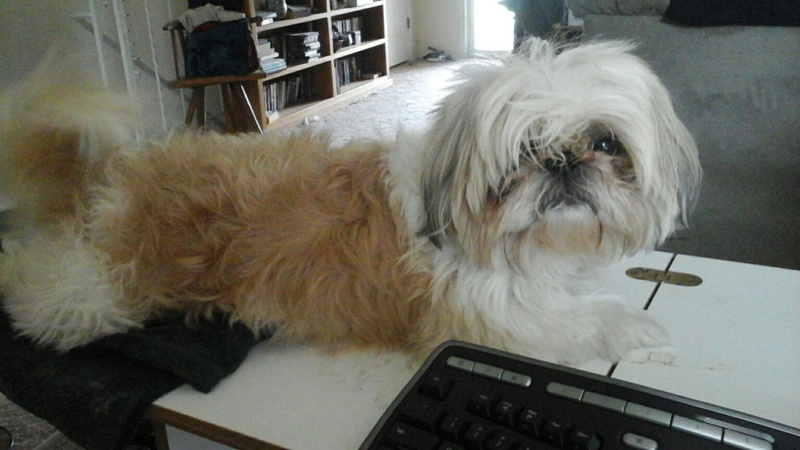 . .
And now he is “helping” me work. Photos taken this morning in my garden! 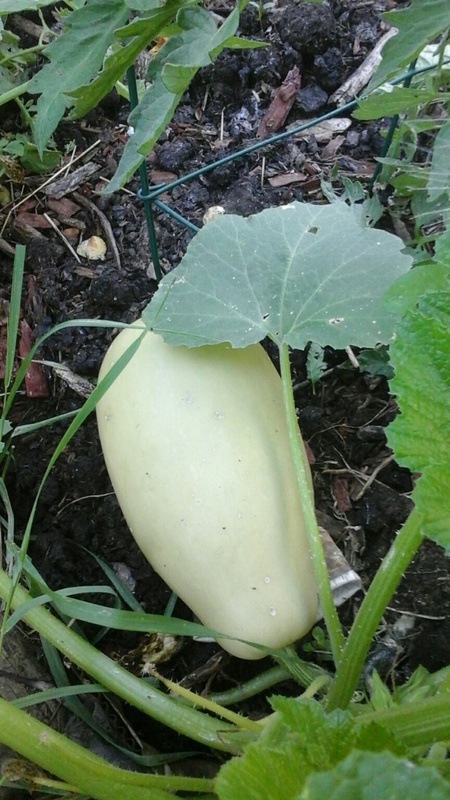 an heirloom sweet melon, sort of a cross between a muskmelon and a cantaloupe. haven’t tried it yet, but if it is good, i am hoping to gather a lot of seeds! “fairy melons” – the are somewhat larger than my hand span. Very cute! 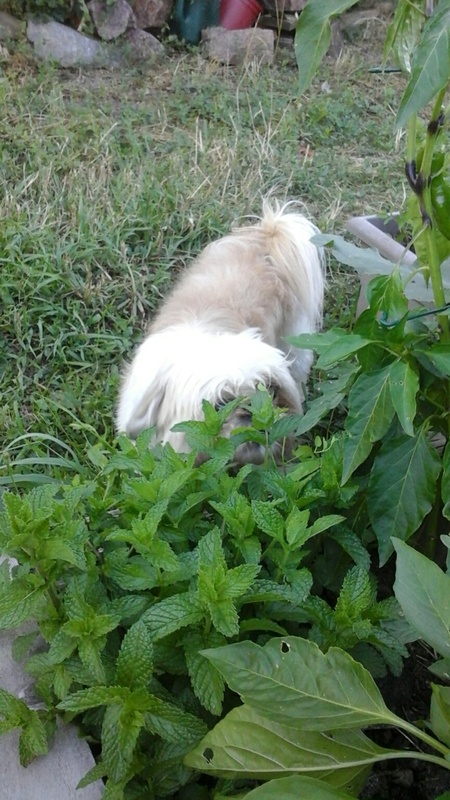 Every time we come out Koda sticks his face into the spearmint. Can’t blame him, I do as well! One lousy carrot. The pups and I love fresh carrots, and of a full packet, only 1 came up! will have to plant more. sigh. these weren’t cheap either, a mixed bag of heirlooms from several countries – mixed colours. what do you want to be this one is a plain old orange? 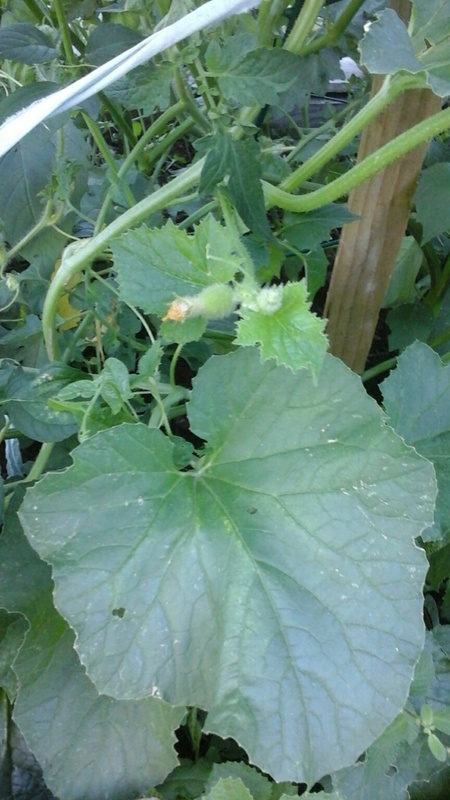 a tiny little cucumber – cute, huh? 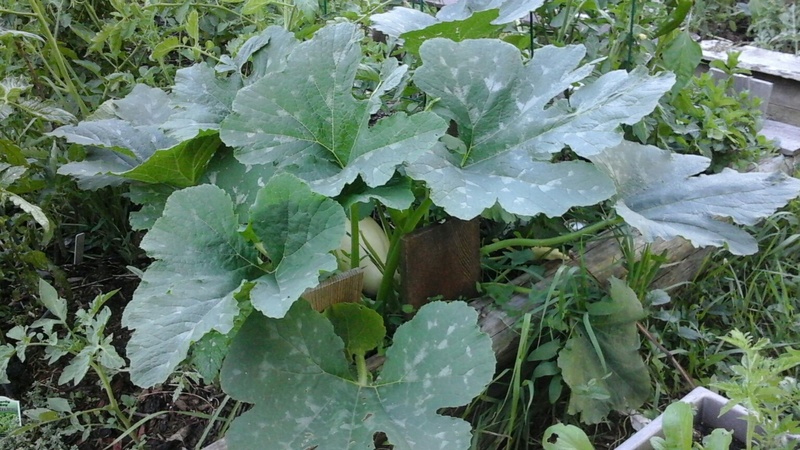 look how huge the leaves are on the heirloom melon! starting a new bed. you can see the cardboard on the bottom, and those are tree limbs and bark, and grass cuttings I am pouring in. a couple more wheelbarrow loads and i will be able to start covering it with manure and dirt. this bed will be for flower seeds and bulbs I will plant in the fall for spring growth. Watch our special message featuring Dave here! To no one’s surprise, the US House of Representatives Agriculture Committee, with no debate, on July 14, 2015 voted to send the DARK Act on, for consideration by the full House of Representatives. More properly known as the HR1599, the Safe and Accurate Food Labeling Act, this insidious piece of legislation has been dubbed Deny Americans the Right to Know – or DARK – Act, because of its draconian implications. Not only would this Act deny consumers the right to know what is in their food, it is a flagrant attack on our democratic institutions. If approved by the House, the bill will then move to the Senate for consideration. But the underlying implications are more sinister, and are truly frightening. Combined with pressure to fast-track TPP (the so-called Trans-Pacific Partnership), and the recent removal of “country of origin” labeling (allowing US-grown livestock to be exported to countries like China for processing, and be re-exported to this country with no labeling requirement informing consumers of the food’s history), we see the DARK Act as the next move in an unprecedented consolidation of corporate power world-wide. 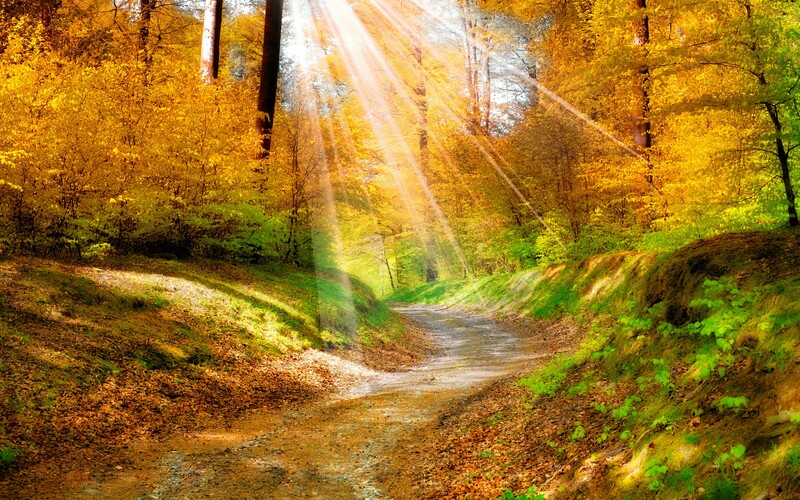 We wonder: what’s next? Or visit these links to help spread the word. In a matter of a few short weeks the 5th annual National Heirloom Exposition, will be held (September 8-10) at the Sonoma County Fairgrounds, Santa Rosa California. Many new and exciting elements are being added this year, and are sparking further interest from vendors, educators, chefs, and farmers! Education about heirloom growing, sustainability, market farming, and risks of genetically modified foods will be a prime focus of many of the speakers, exhibitors, and vendors. An impressive line-up of nationally and internationally recognized speakers will include Dr. Vandana Shiva from India. More than 100 on-topic speakers will engage audiences on all things related to ‘pure-food’, ‘gardening’ and ‘farming’ throughout the entire three days. The exhibit hall will be filled with displays of thousands of varieties of heirloom fruits and vegetables. 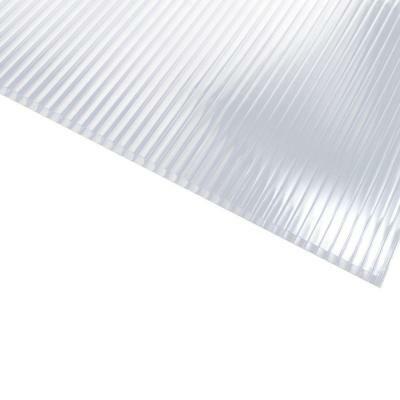 Some of the most innovative minds will showcase items of interest to inspire others. Please bring yours! Everyone should make an effort to attend this sharing of information about pure-foods, sustainable living, organic growing and much more. I have been in a reading slump. Pick it up, put it down, pick it up, sigh, put it down again. So, I have been weaving and really enjoying it. Since it has been raining so much I haven’t done much gardening, but I finally got out today and wrestled the lawnmower through the knee high grass…. Ouch. Giggle time! Celia and Mina’s fifth in the “Quick and Furry” series was just what I needed to snuggle into tonight. Giggles and grins with a side of yummy. “Free therapy in exchange for the willingness to be included in a study. ‘The Inherited Intricacies and Deficiencies of the Familial Mind. '” Yep. Chloe has one whack-a-doodle family – the kind that stalks you and breaks into your house when you aren’t looking. . . well, mom is an oddball, but the brothers aren’t so bad – just sorta, well, stalkerish and overprotective. But hey, things could be worse, right? Your mom could break into your house in the middle of the night to inform you she has set you up with the M&M Mating Agency, cause she really does want grandkids. Er, Grandcubs? Whatever. What happens next had me giggling out loud. Well, and enjoying the hottie hotness that Celia and Mina are famous for. This is one cute entry into the Quick and Furry pantheon. If you haven’t read them, why not? Funny, hot shorts sure to help you relax after a long day. So. Much. Fun!